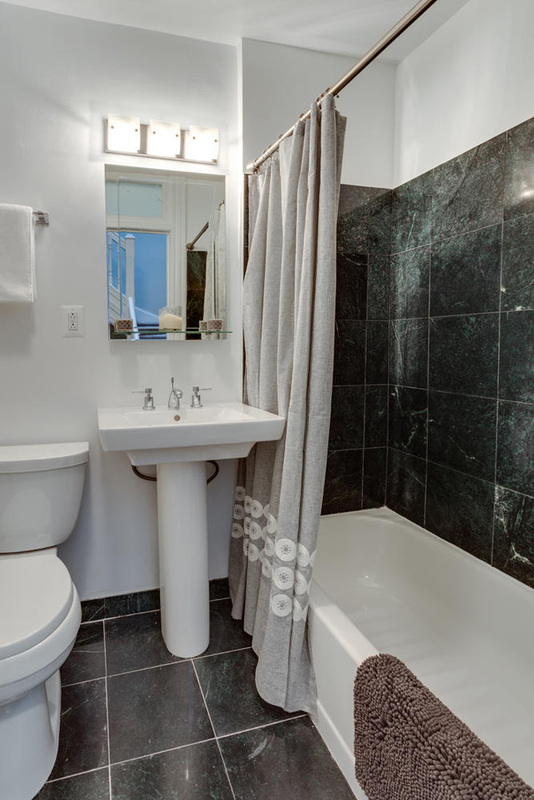 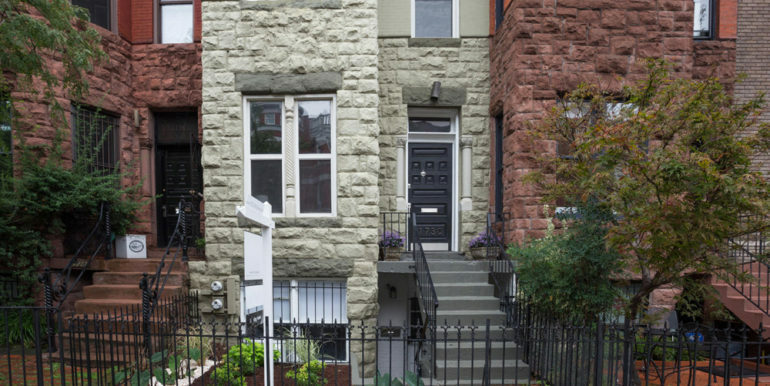 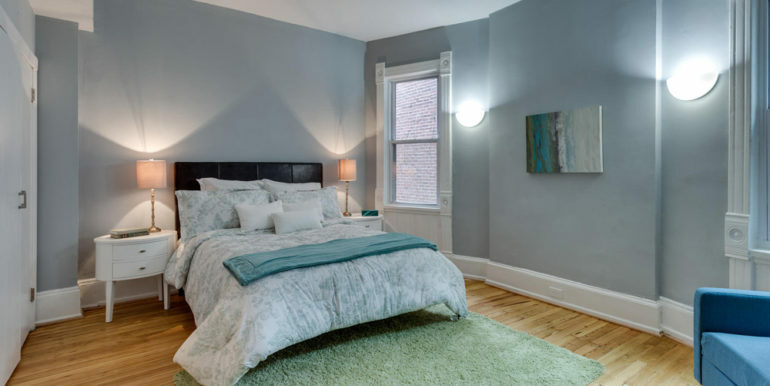 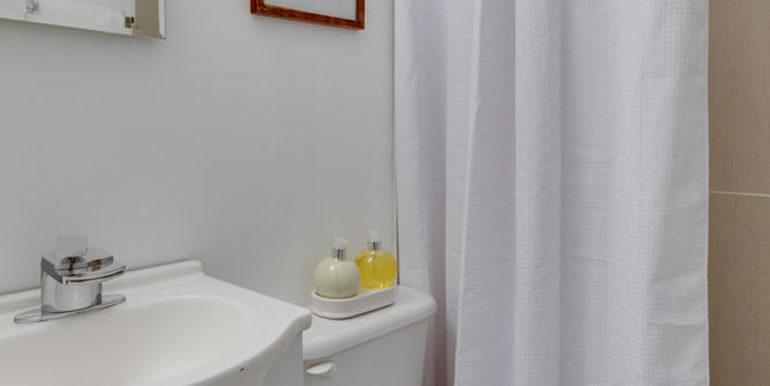 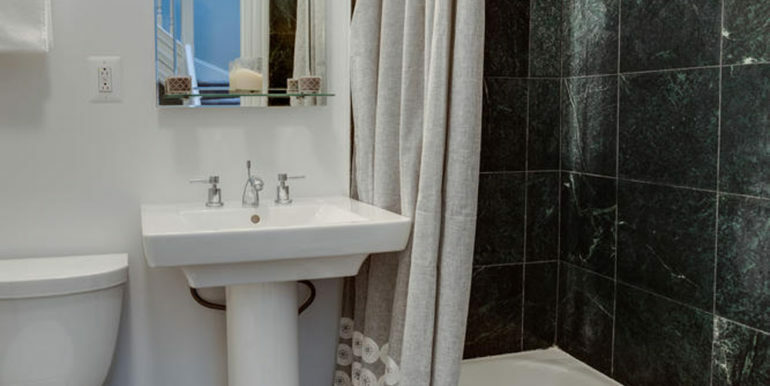 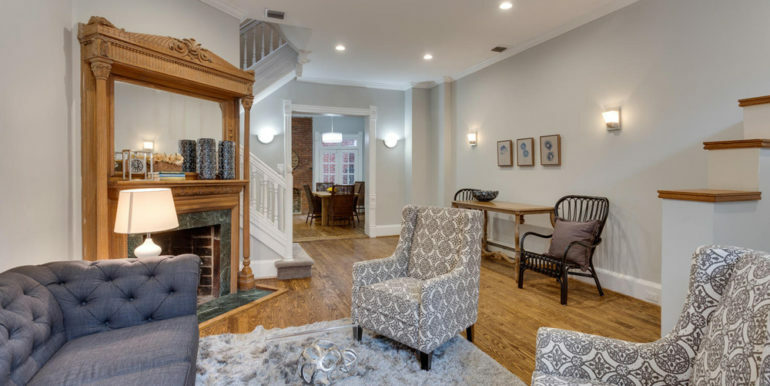 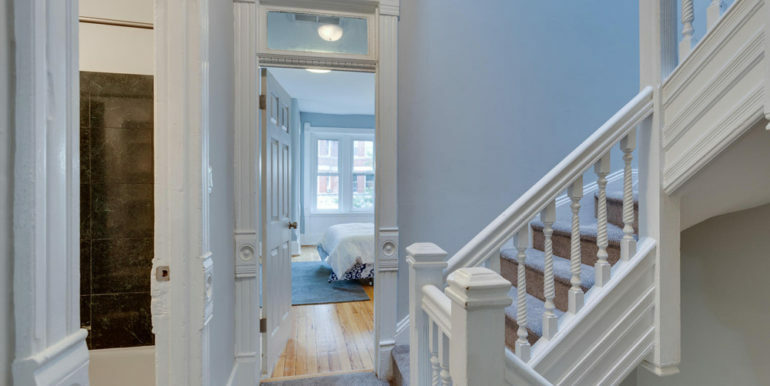 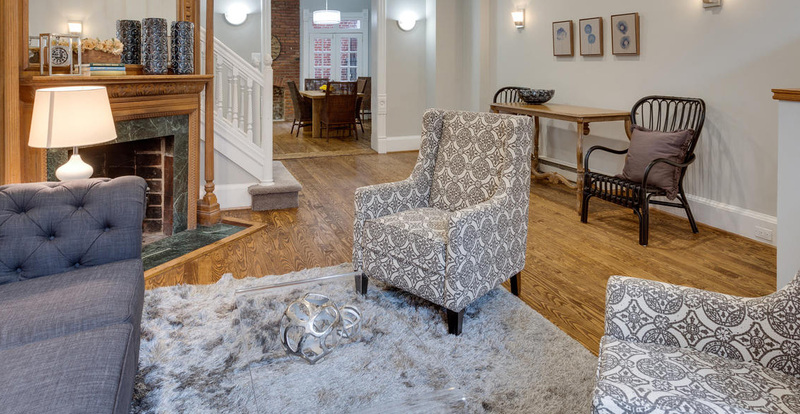 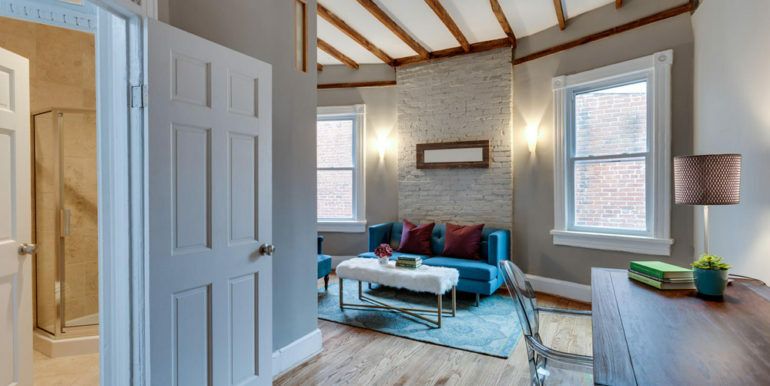 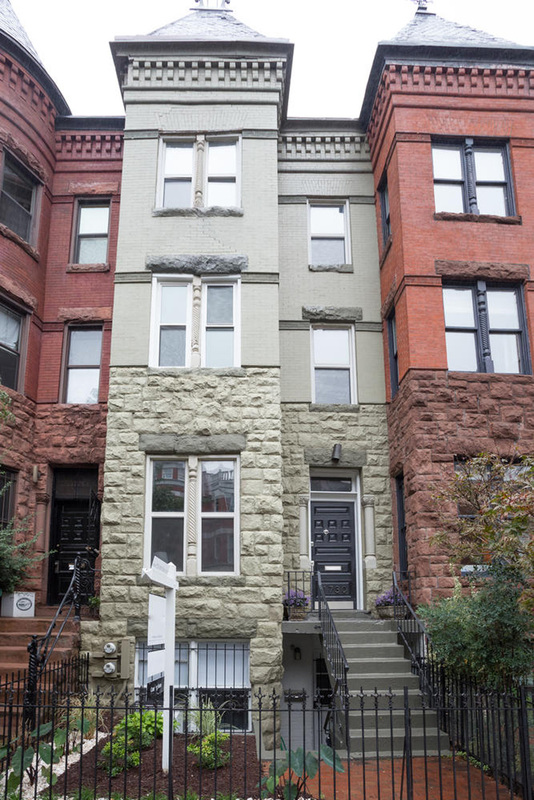 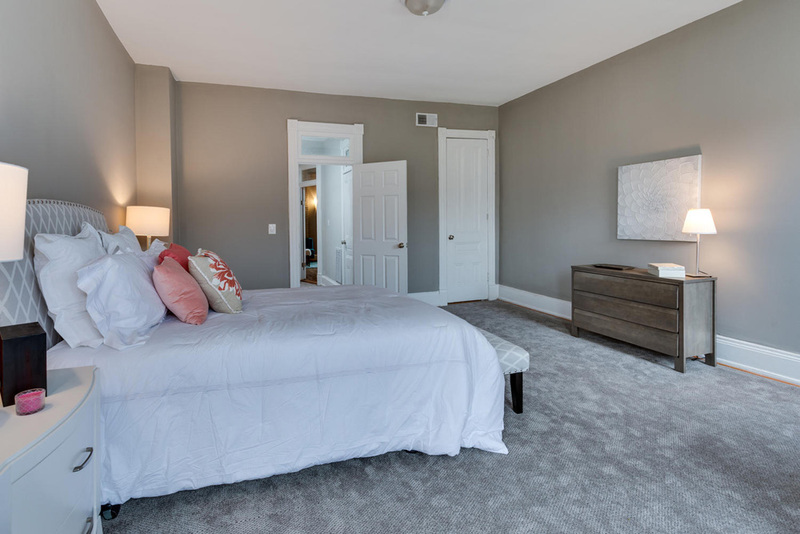 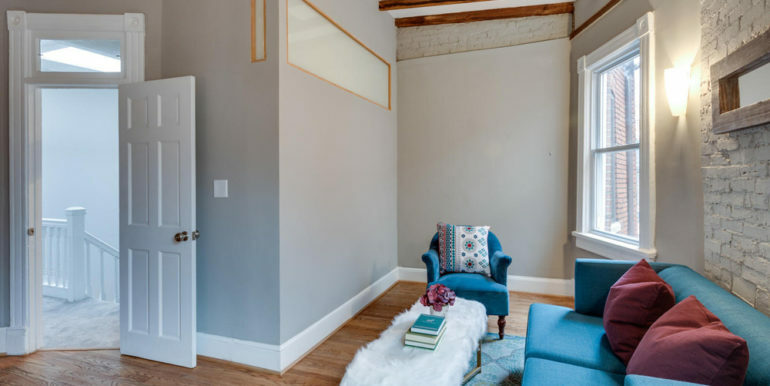 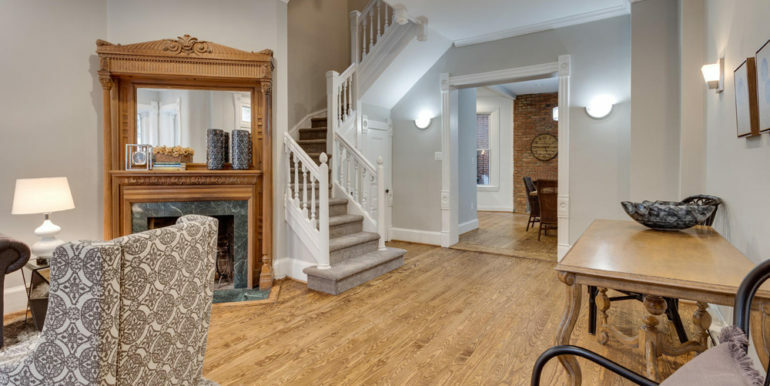 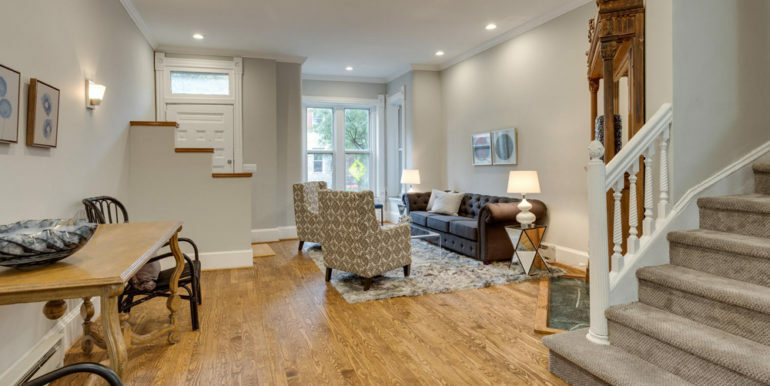 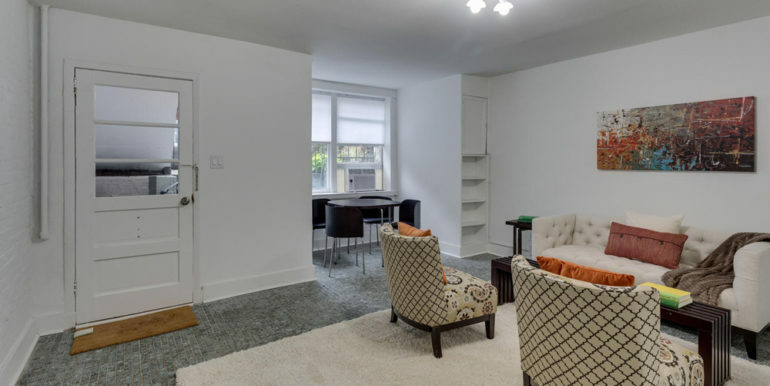 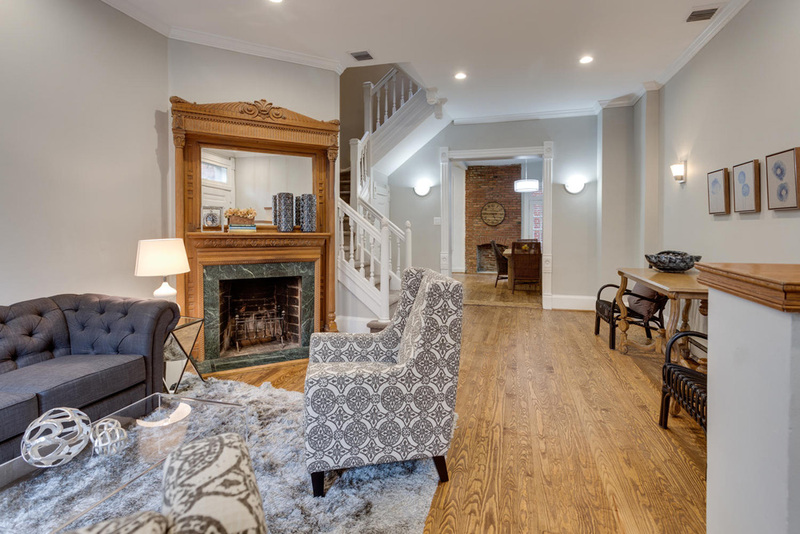 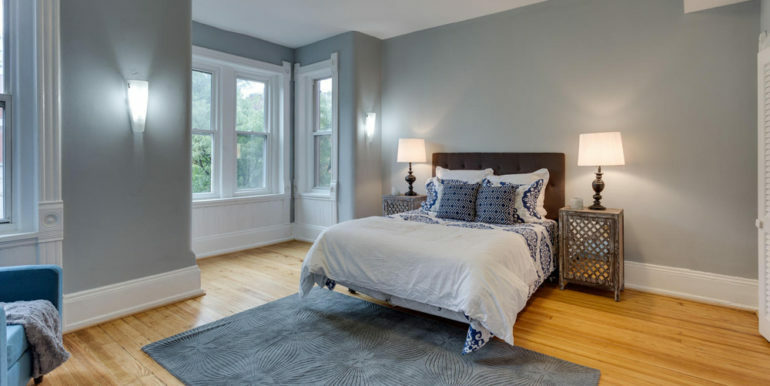 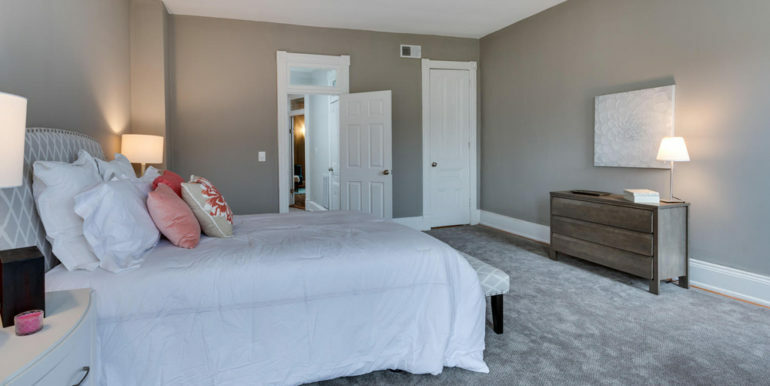 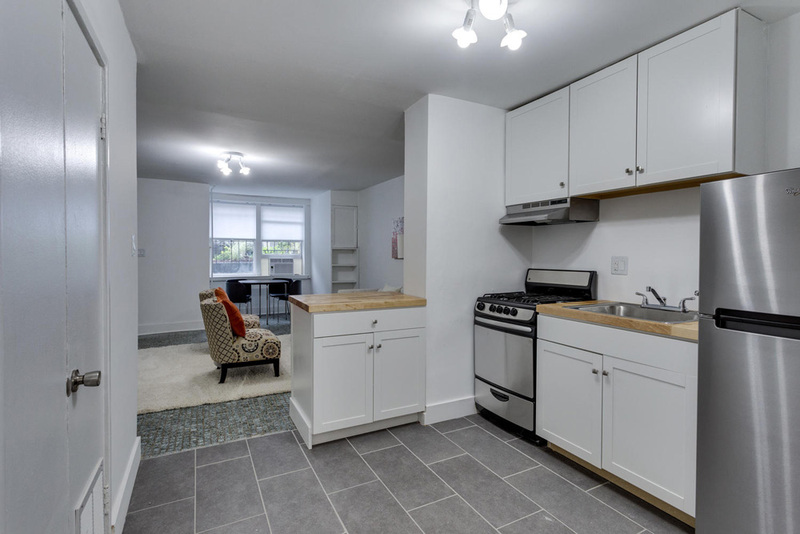 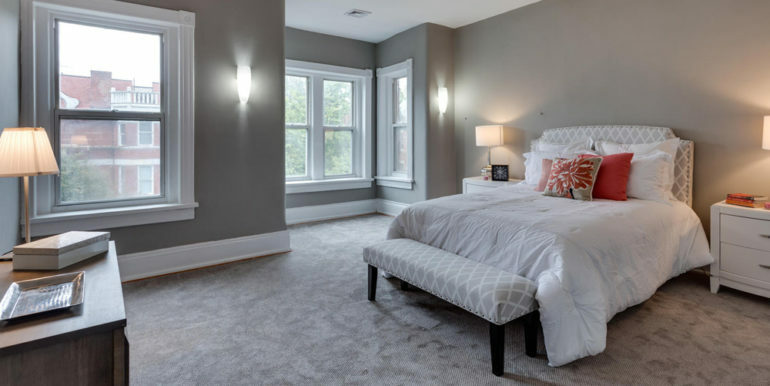 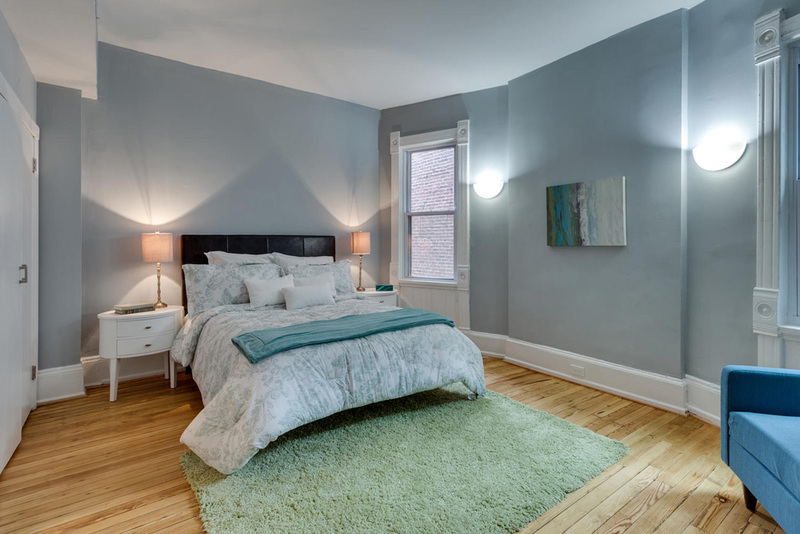 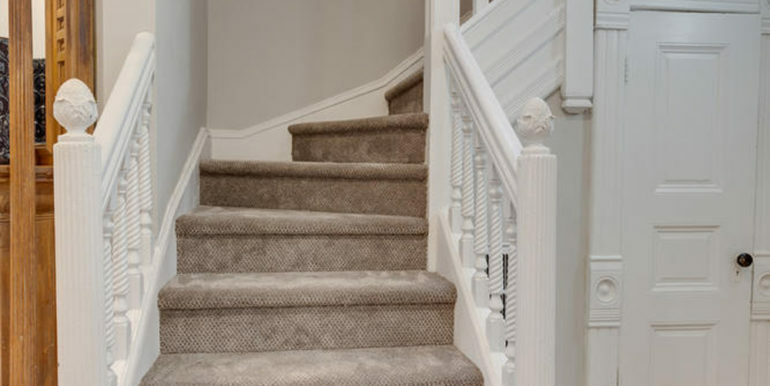 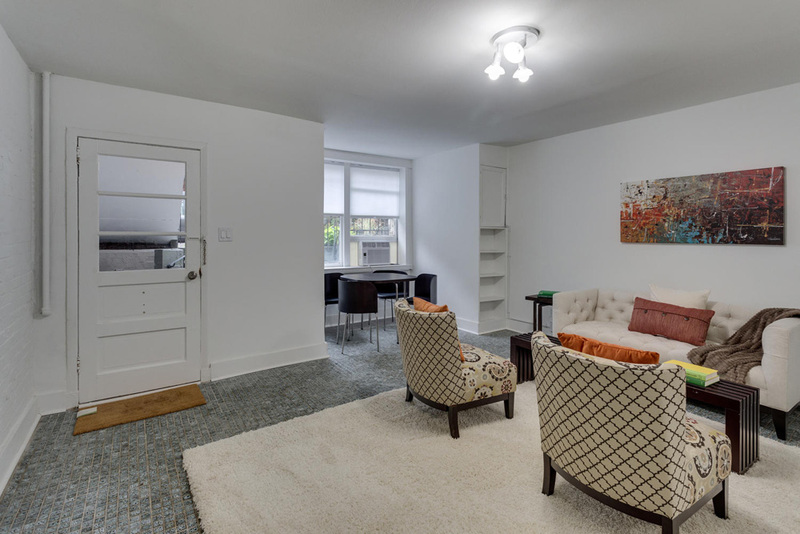 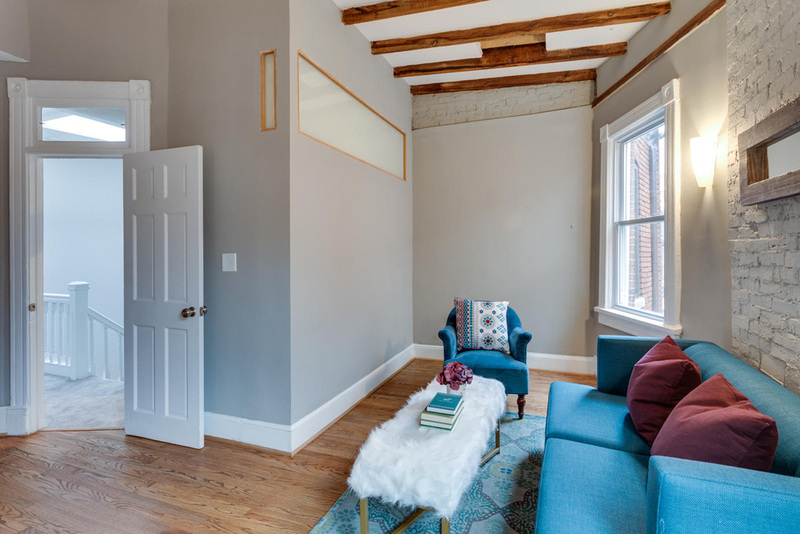 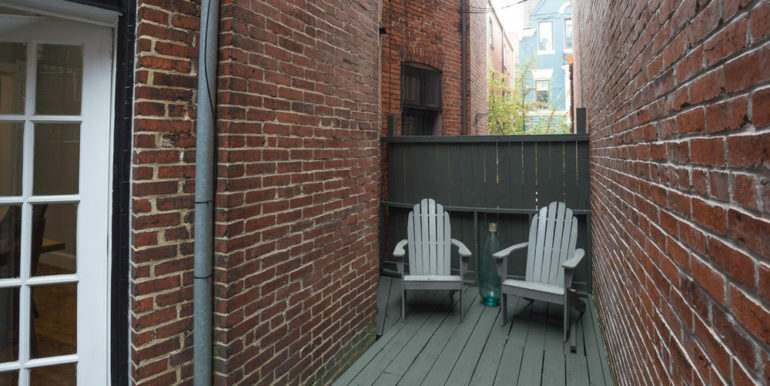 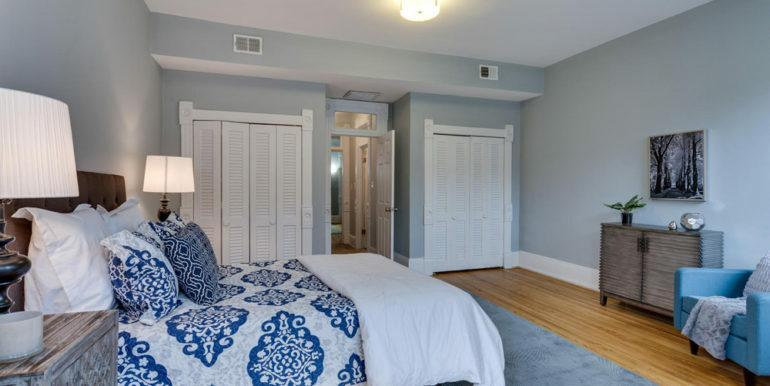 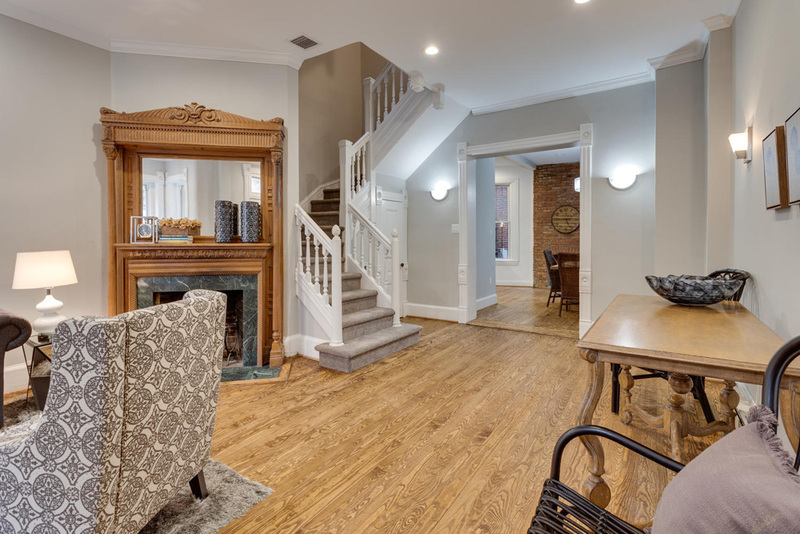 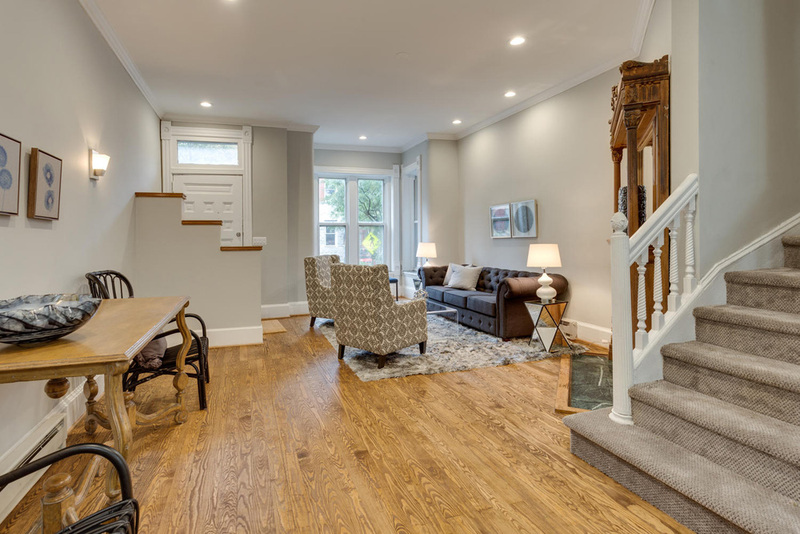 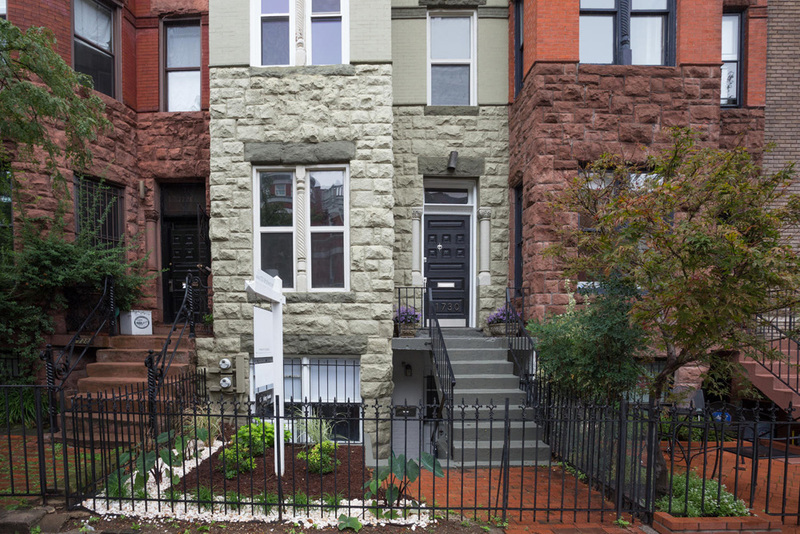 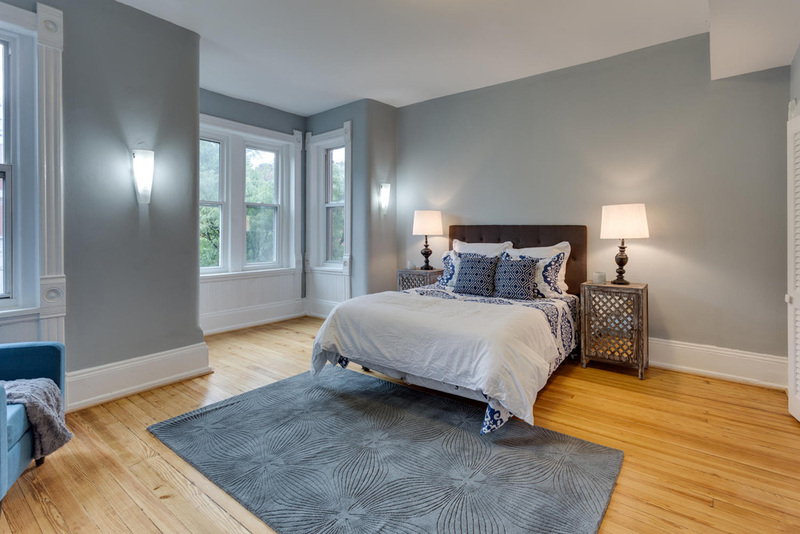 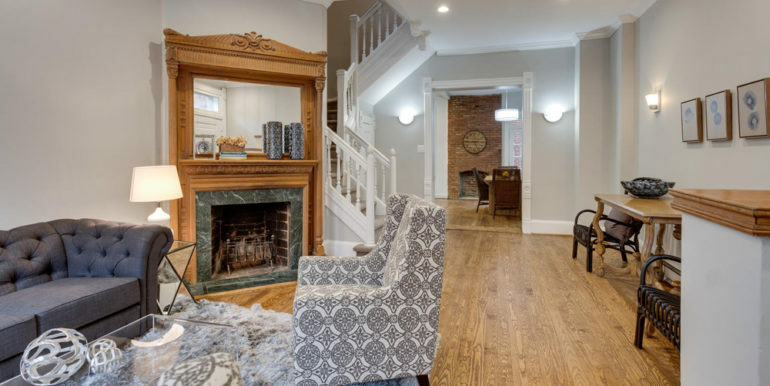 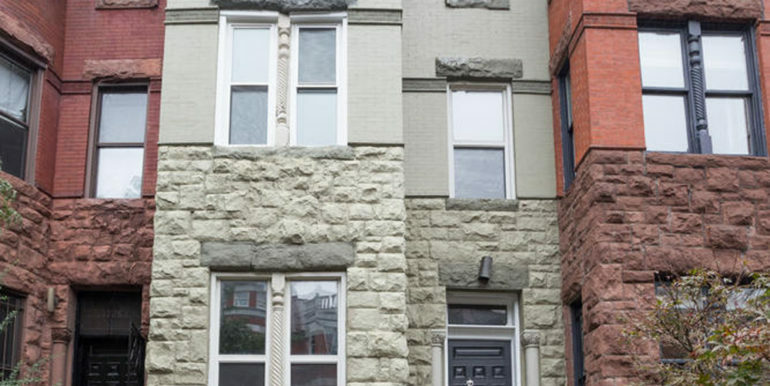 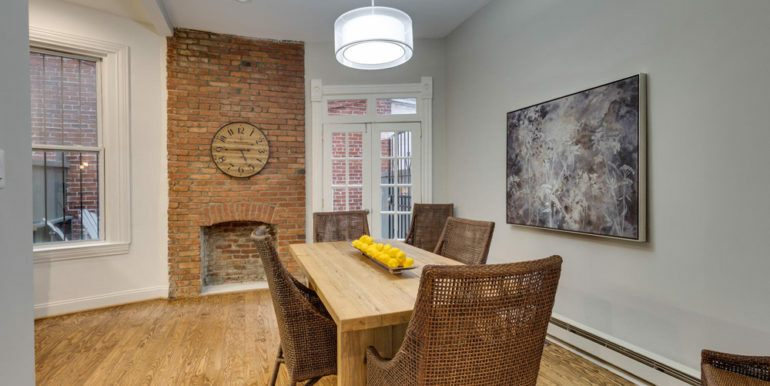 This 4-bedroom, 2-bathroom Victorian rowhouse provides three floors of beautiful carefully maintained space to create a luxurious home, as well as a 1-bedroom, 1-bathroom basement rental unit. 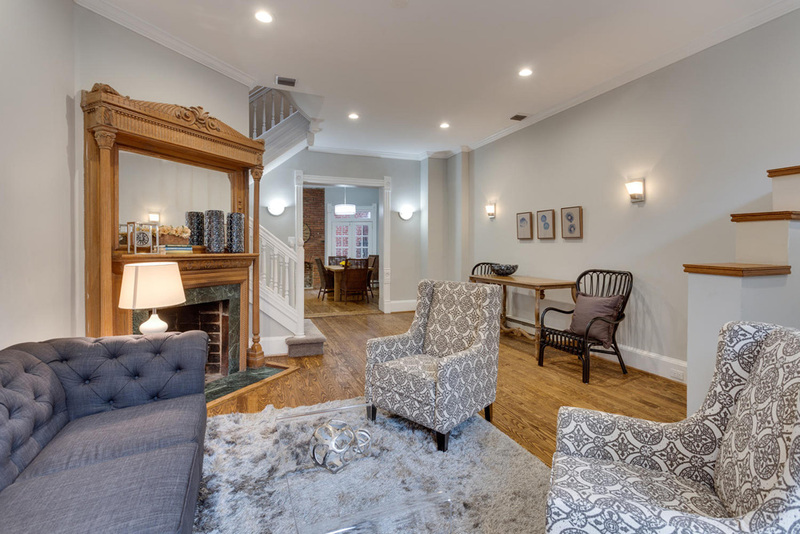 On the main level, the spacious living room is bathed in natural light and features a wood burning fireplace with marble surround and a custom carved wood mantle. 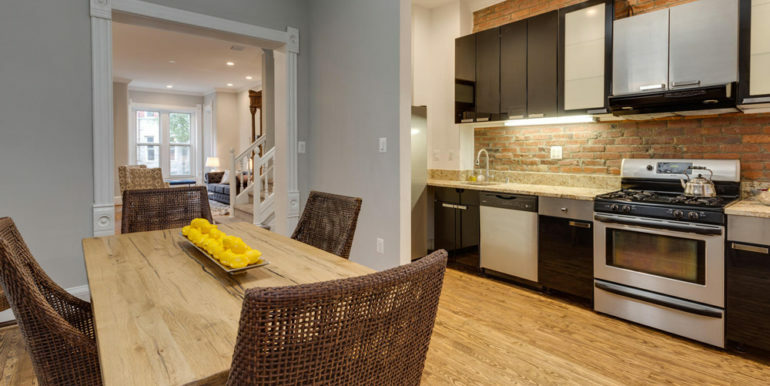 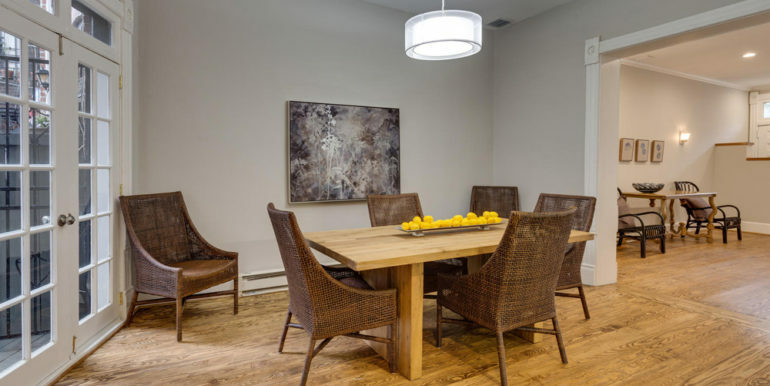 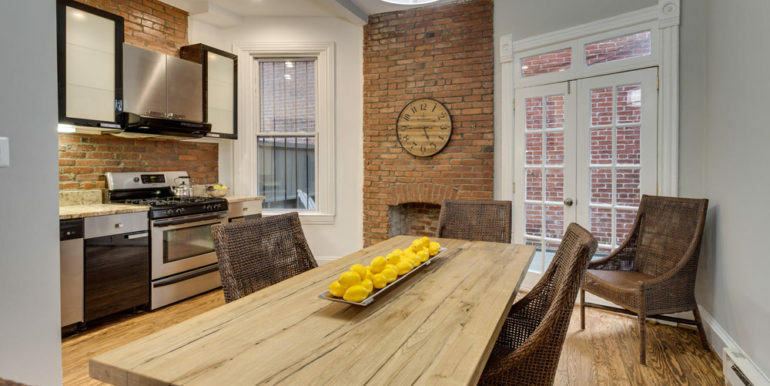 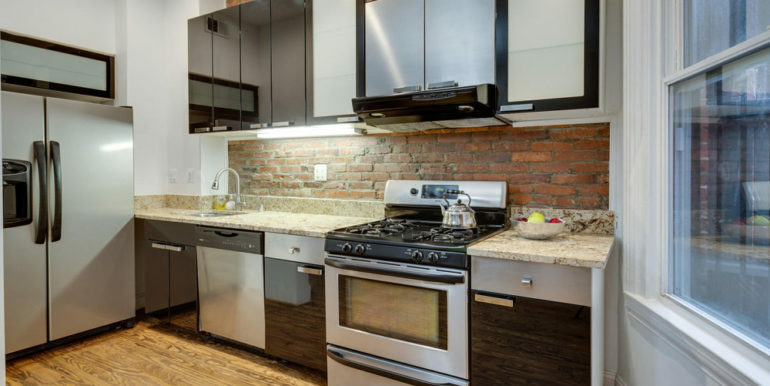 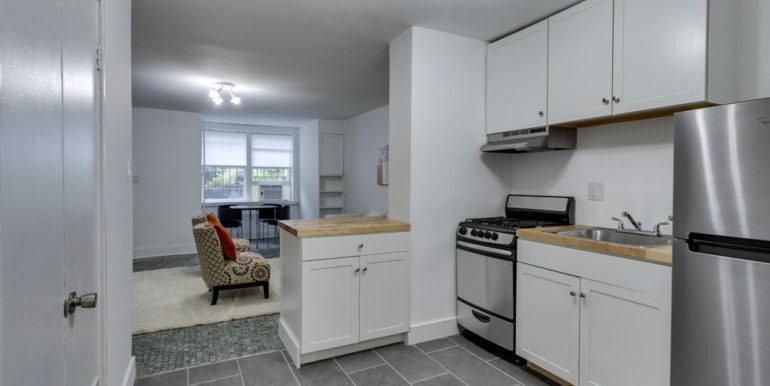 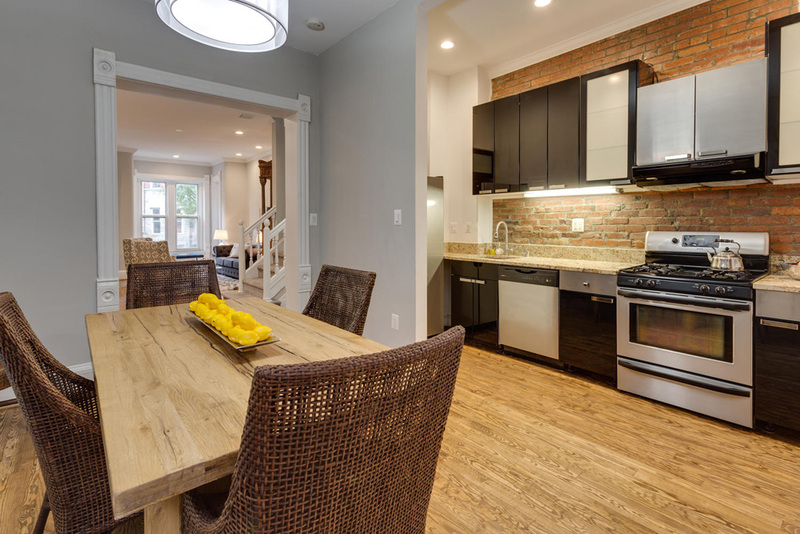 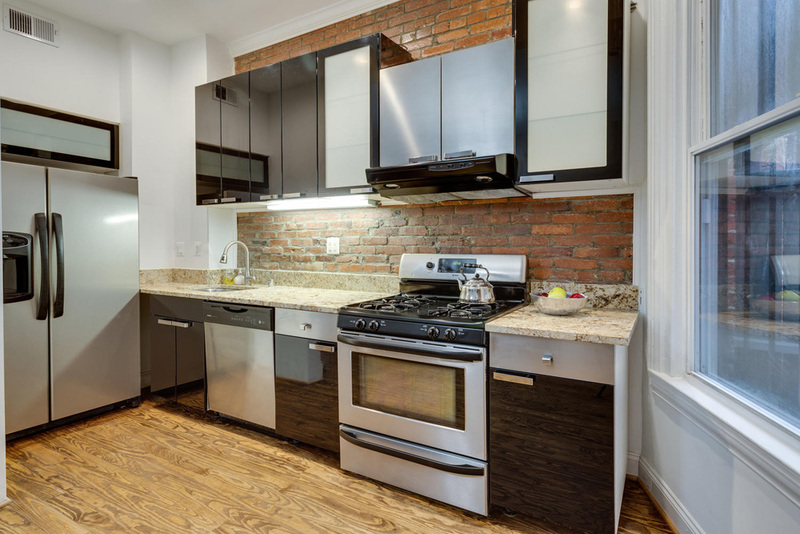 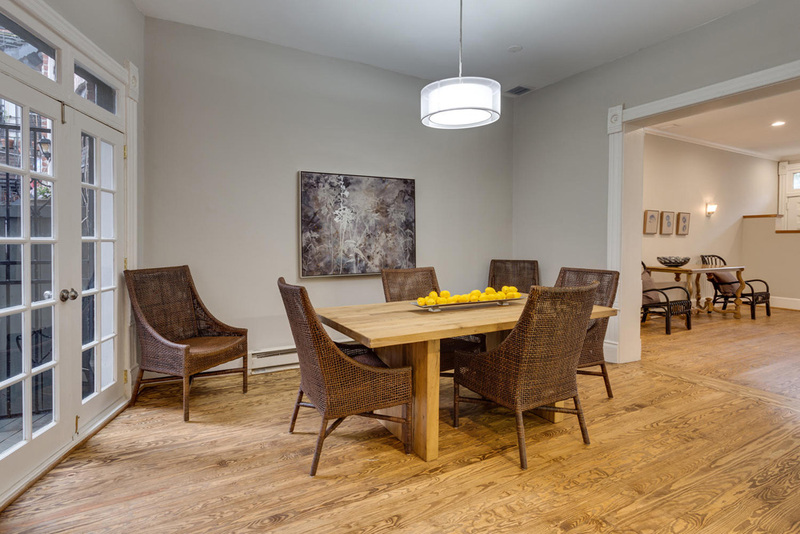 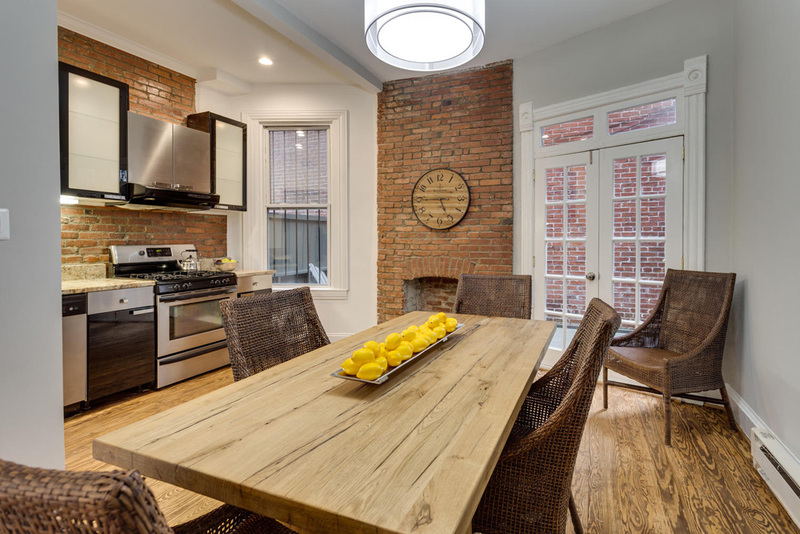 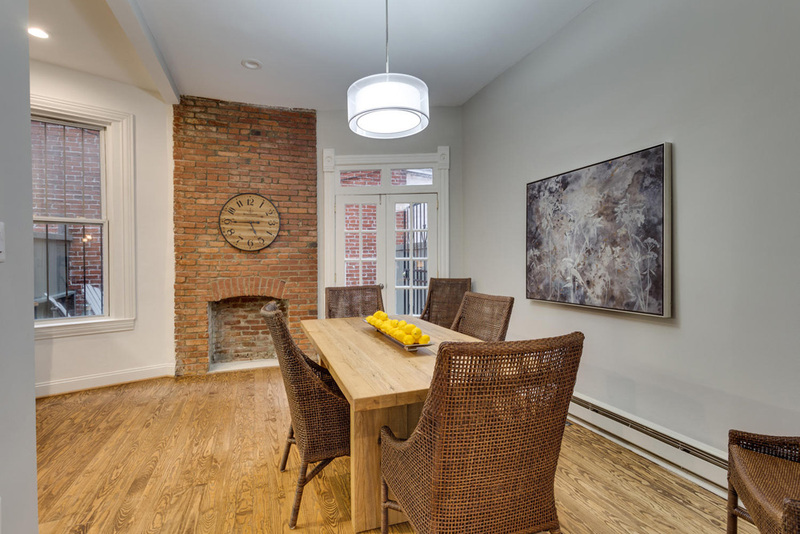 A spacious dining area with exposed brick wall connects to an updated kitchen with granite counters, stainless steel appliances, and gas range. 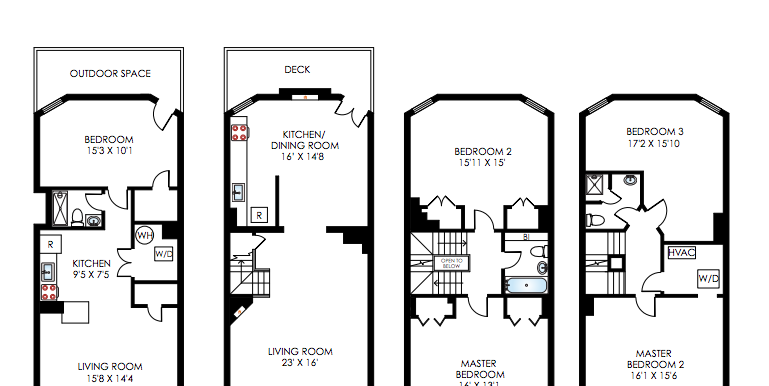 The dining/ kitchen leads to a private deck perfect for enjoying a glass of wine and ample room for outdoor entertaining. 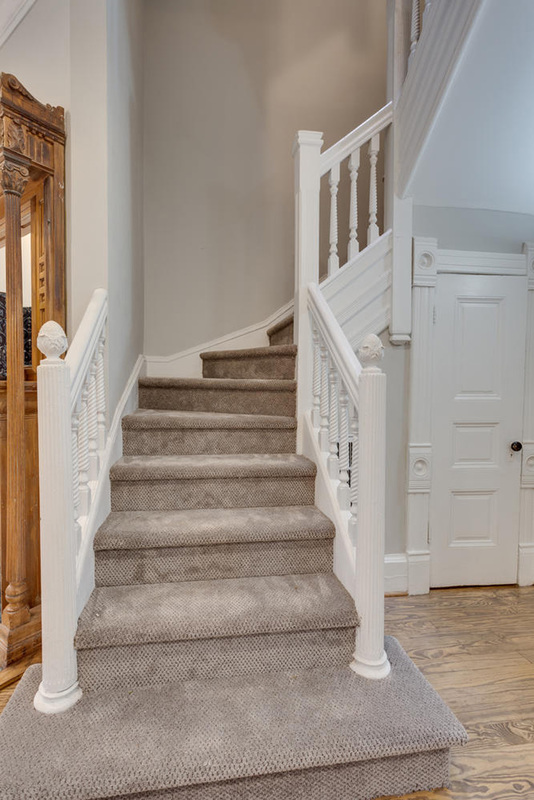 Gorgeous center-hall staircase leads you to the top two floors. 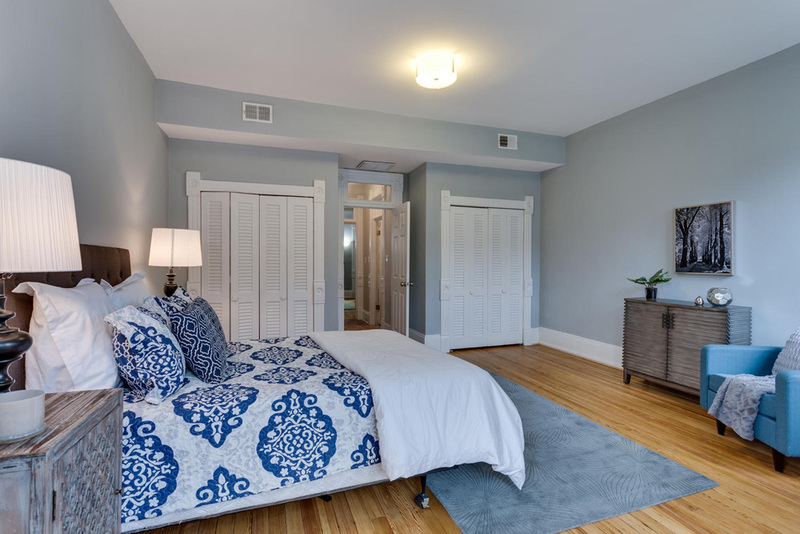 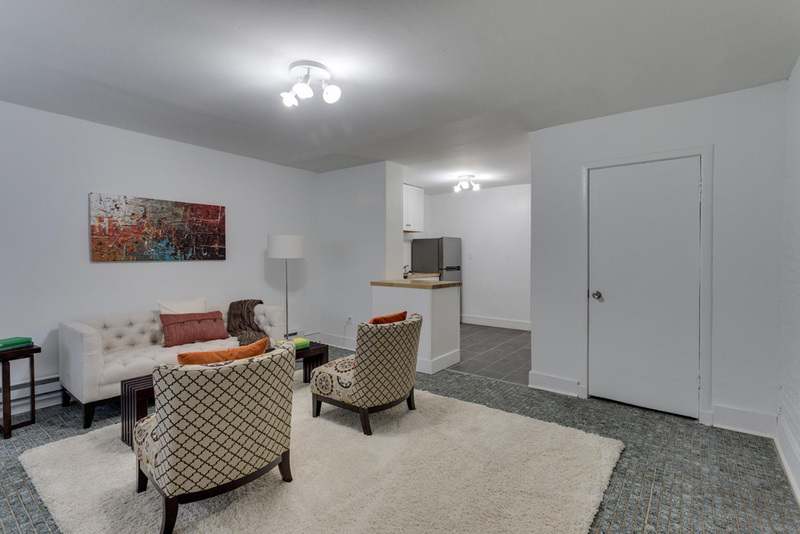 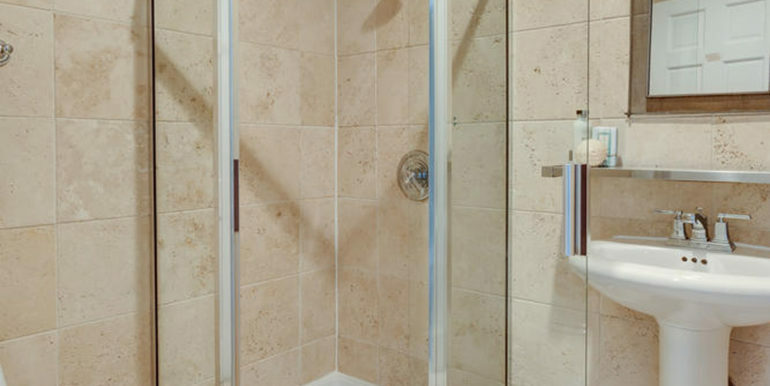 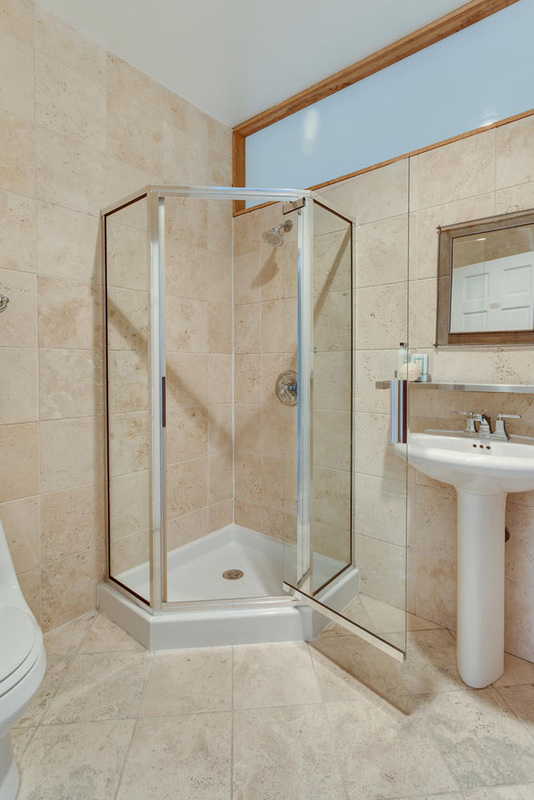 The second level contains two large bedrooms both with generous closet space and one full hallway bathroom. 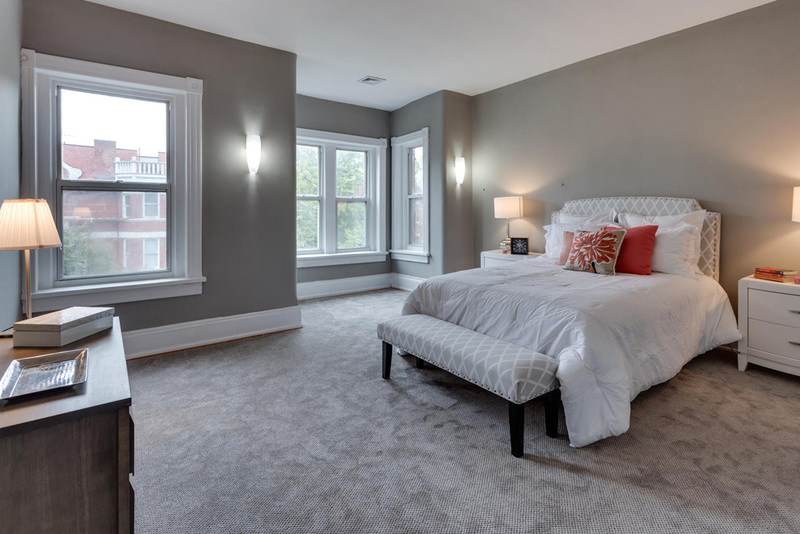 On the top level the master bedroom, has 10 ft ceilings and an abundance of natural light from the oversized windows. 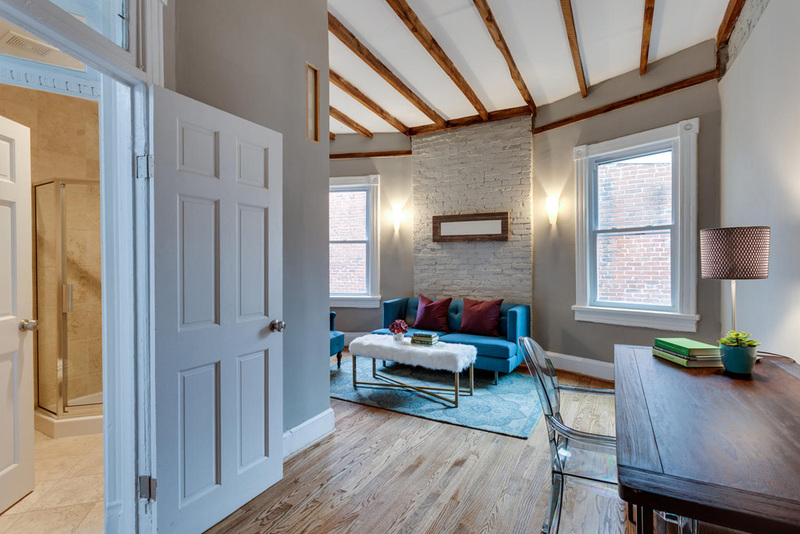 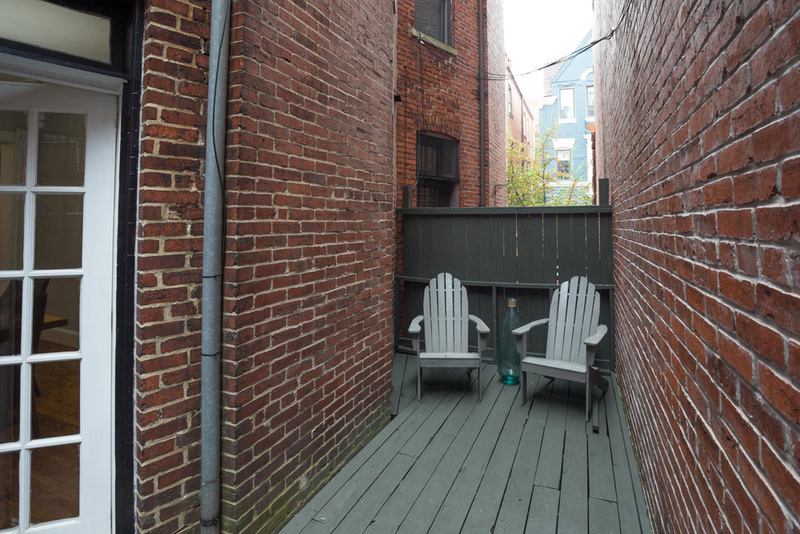 Down the hall is a second bedroom with exposed brick and lofted ceiling with exposed beams. 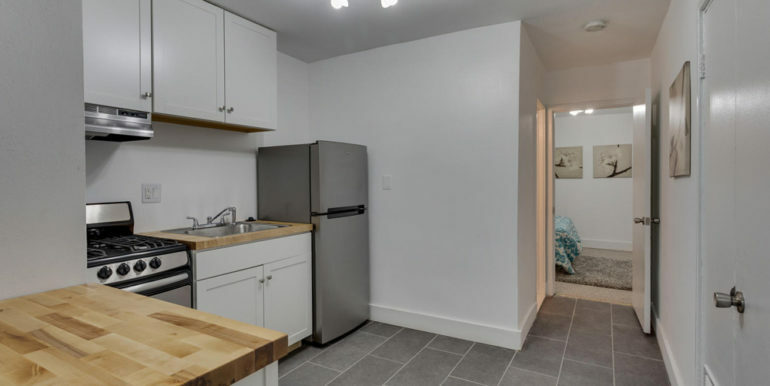 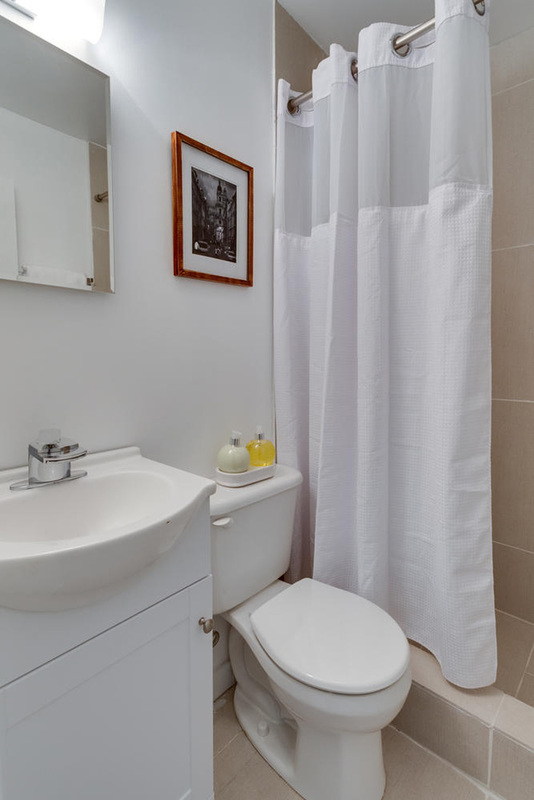 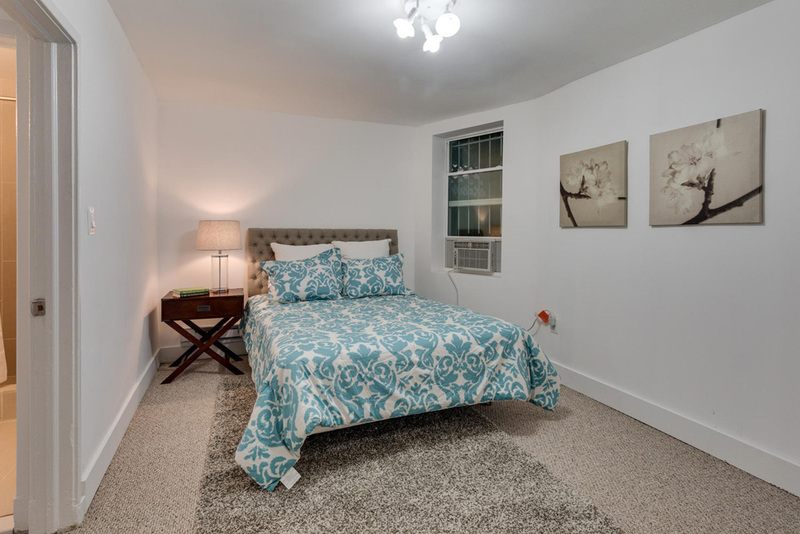 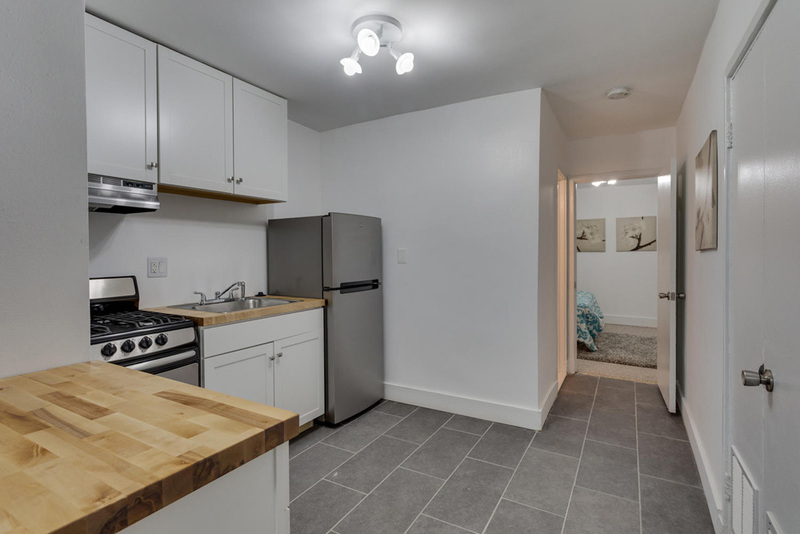 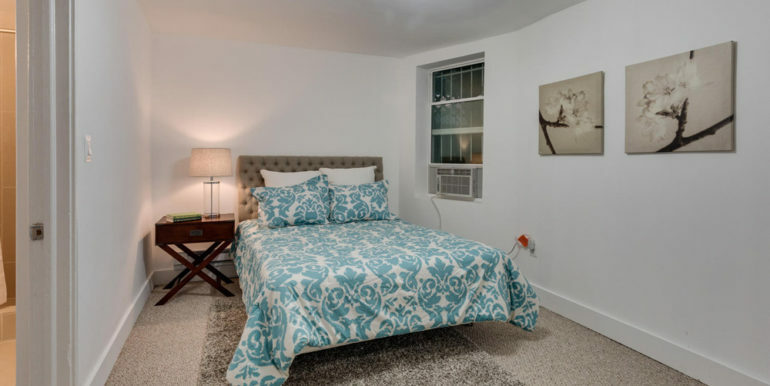 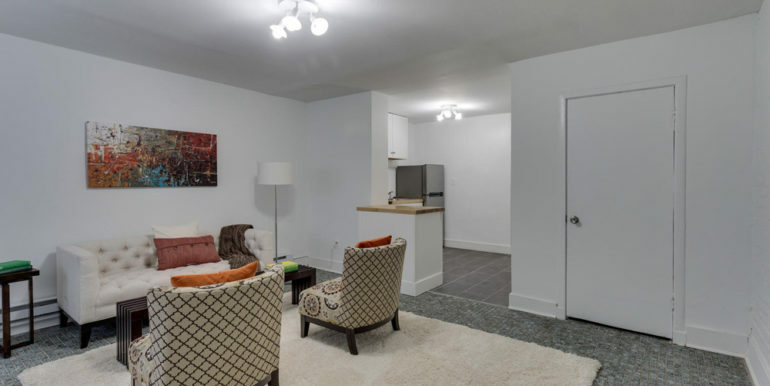 1-bedroom, 1-bath apartment has newly renovated kitchen and bathroom. 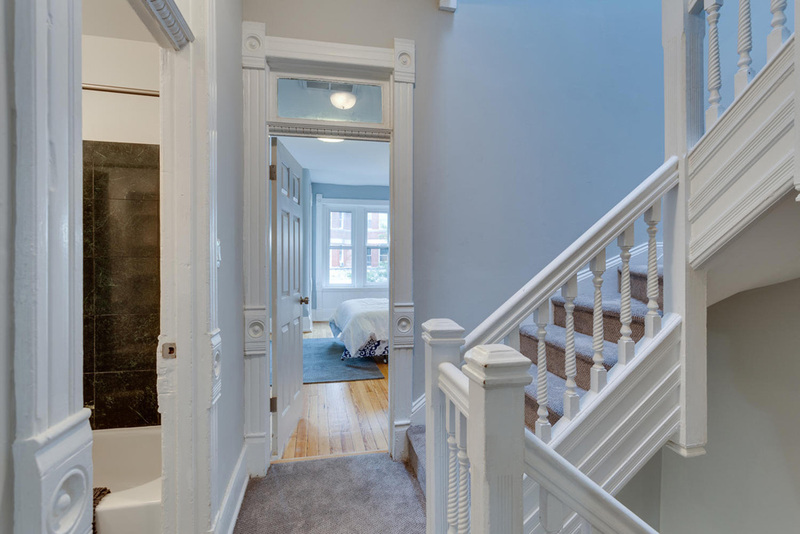 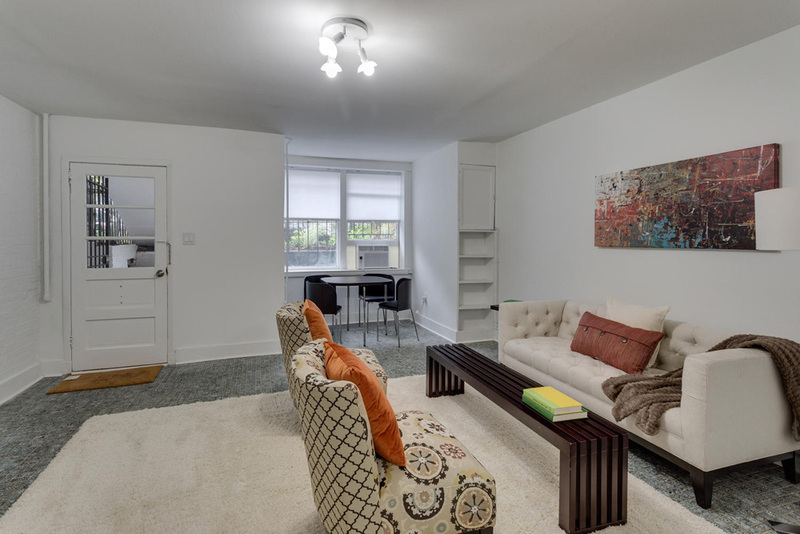 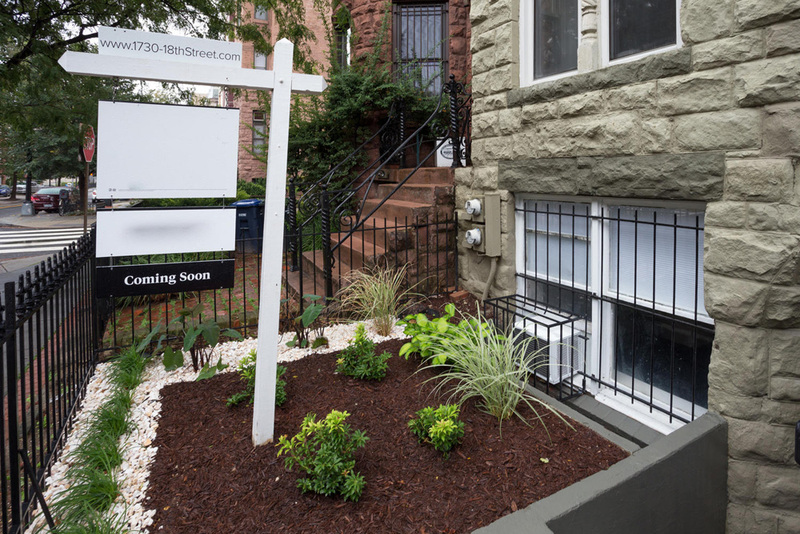 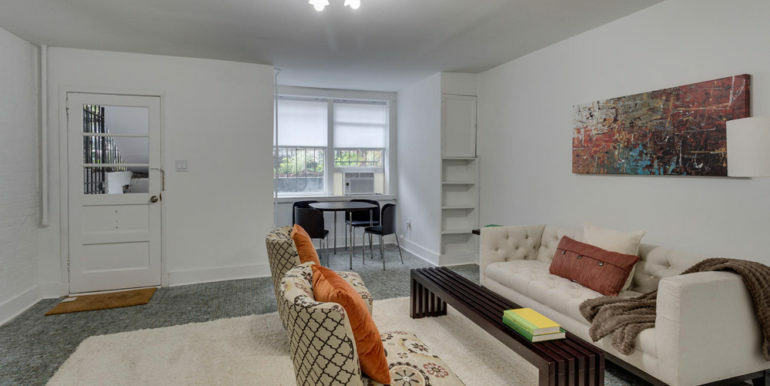 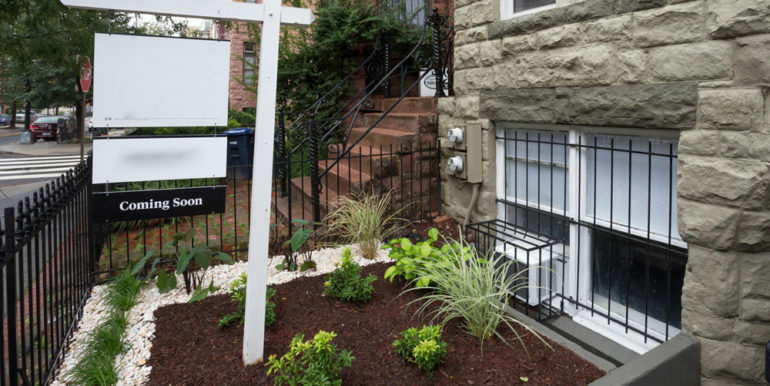 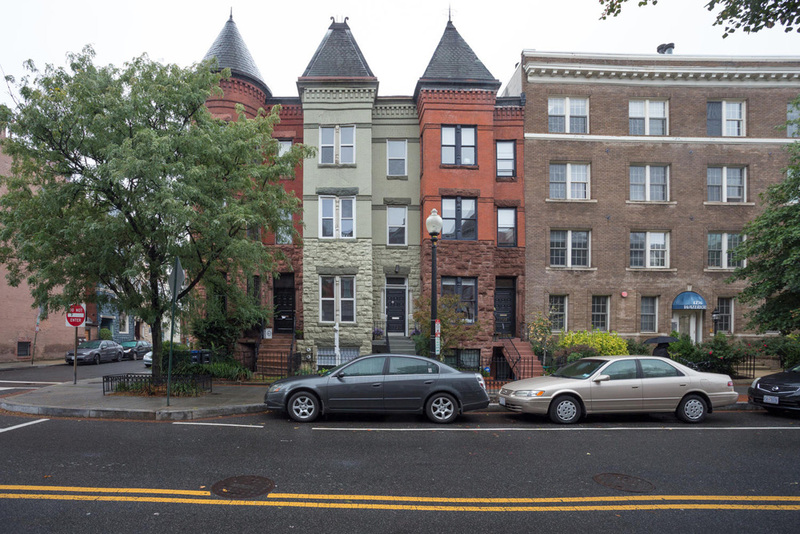 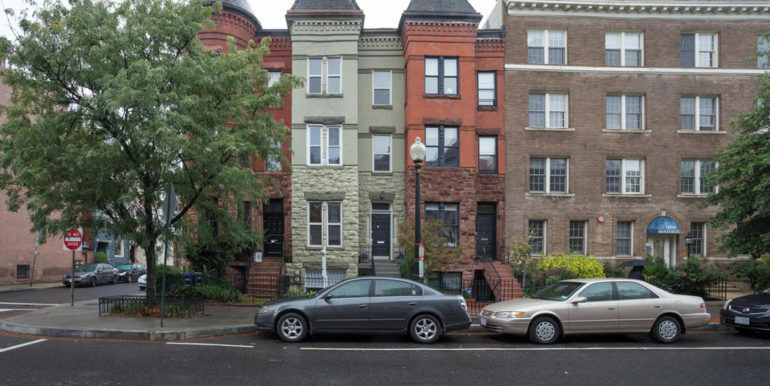 Walk to Dupont, Adams Morgan & 14th Street and only minutes from some of the District’s best shopping, entertainment, and dining venues. 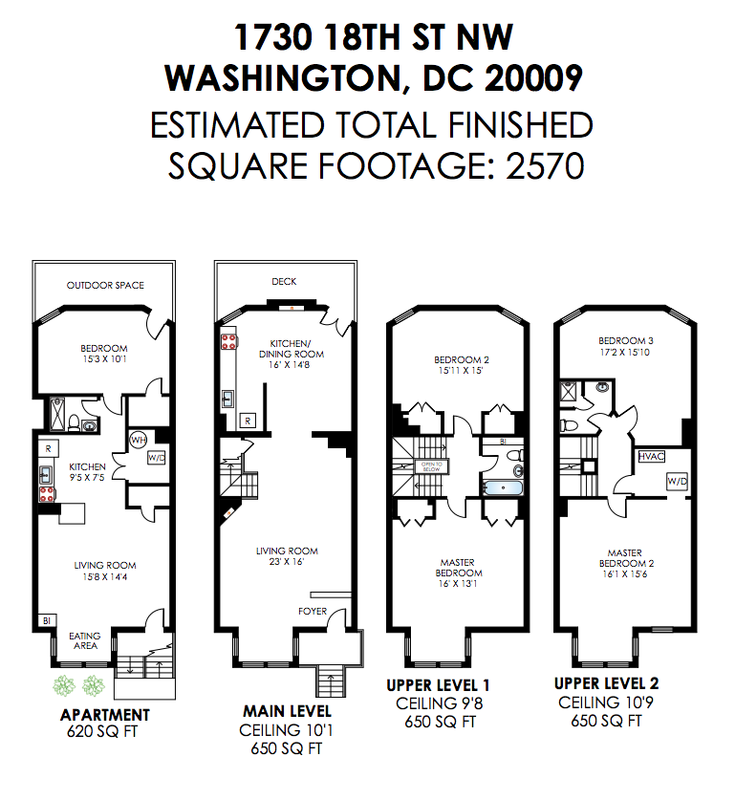 Rated both a “Walker’s and Biker’s Paradise” by Walkscore.com.